Just days after Saudi Arabia’s Interior Ministry threatened to use force to stop women violating a ban on female drivers, one man has come up with a creative way to protest the laws, which rights groups have slammed as discriminatory. 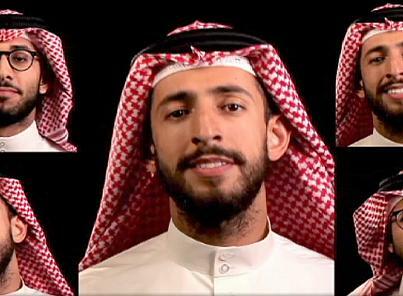 Entitled “No Woman No Drive”, the tongue-in-cheek song includes lyrics mocking a recent statement by a prominent Saudi cleric that women shouldn’t drive because it could make them infertile. But Fageeh’s humorous song has a serious point. Saudi Arabia has been repeatedly criticized by human rights groups for its poor human rights record. A recent report by Amnesty International accused the Gulf Kingdom of failing to live up to any of its commitments to improve human rights, and said that the Saudi regime had instead escalated its persecution of minorities, women and political dissidents in recent years. Ironically, Saudi Arabia recently refused a seat on the United Nations Security Council, citing the Council’s failure to act against Syrian President Bashar Al-Assad’s crimes against humanity.